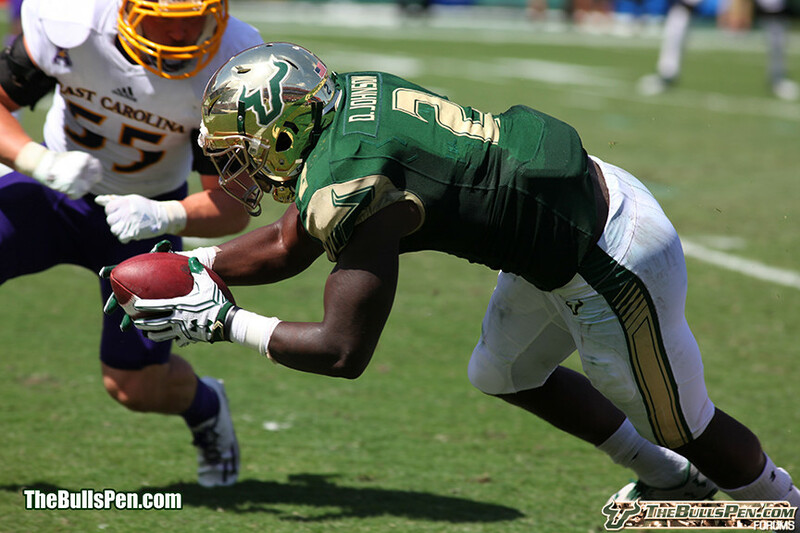 The South Florida Bulls' #2 Johnson divers for a touchdown. Score!!! Photo Information for #2 Johnson Touchdown!! !